Updated yet again on Apr 28 2017. Stockholm Syndrome (Trauma Bonding) is said to keep those being abused, in the abusive relationship. They cannot leave their abuser. I am posting this because I believe there is something to learn from the Rat Cage / Rat Park experiments. I believe that victims of relationship abuse are stuck in the equivalent of an empty Rat Cage. They feel alone and not connected to anyone who cares about them. They may have been isolated from Family and Friends by physically moving to a different city. Abusers instinctively seem to know that if they can isolate someone, then they can control them and physically or mentally abuse them without outside interference. Again without a support structure, the victim is alone as in the isolated Rat Cage. The drug in this scenario is the Abuser. Just as Rats isolated in a Rat Cage became addicted, so do the Abuse Victims. If the Victim does leave, then they could suffer from PTSD or worse. They will constantly think about the Abuser and often return to their Abuser, even after horrific physical abuse. In my opinion, this is highly similar to addiction. Further proof of this concept comes from the same Rat Cage / Rat Park experiment. When the isolated and heavily addicted rats are moved out of an isolated environment into a Rat Park with lots of other rats and lots of stimulating things to do and play with, they lose their addiction. Going further, Victims of abuse need to move into a Rat Park environment. They need to be among people who care. Friends and family who will morally support them. They need to also have fun. Being abused is “NOT FUN”. I suspect that once the victim is moved into a Rat Park type environment, then their addiction to the abuser could dissipate without symptoms of PTSD etc. That brings up the lack of such a Rat Park environment for Abuse Victims. They should be surrounded by people who care, people who will try to help them. People who will talk to them. One common theme from Victims going thru forms of Therapy is that they cry their eyes out during the therapy sessions. They have no one to talk to. They feel that no one cares. Like the Rats in the isolated Rat cage. The Rats become addicted to the point of destroying themselves. Victims become addicted to their Abuser. For many victims this addiction destroys them. In my opinion, the Rat Park experiment shows the need to create a Human equivalent of a Rat Park for Victims of Abuse, so that victims can end their “Addiction” to their Abuser. We have Women’s Shelters filled with women seeking help but percentage wise rather few “Helpers”. We have Therapy, which costs money that the abuse Victim may not have. No money, equals No Help. We have Public Housing, but with long waiting lists. We have legal aid for people convicted of a crime, but Victims of Relationship Abuse may not “qualify”. Society has a disorienting and disconnected patchwork of supposed help and so Victims cannot get away. It may not just be Trauma Bonding which is holding them back. As a society, we do not have an all inclusive support system, like a Rat Park human equivalent environment, to help Abuse Victims if they want to leave their Abuser, Heal and Recover. So they remain “stuck” in Abusive Relationships. I have received email comments suggesting that it may be the Victim’s lack of confidence to express their feeling that could be at fault. A Victim’s typical inability to establish and enforce clear boundaries is in my opinion, a Learned Survival Mechanism. During early childhood, we learn how to survive in our home environment. Some kids are lucky and are born into loving and caring families. Other kids are not so lucky and have to adapt and learn behaviors to survive. That applies to Disordered Individuals also. One’s early childhood helps to form the future Adult. The work of the late Alice Miller readily comes to mind. I have referred to Abysmal Parenting or the lack of Parenting as being the primary cause of adult dysfunction. Many a Narcissist was not raised by their Birth Mother for example. On the other hand, when a Victim is physically being beaten Black and Blue, IMHO clearly the Abuser is at fault and “not” the Victim. There was a video posted here of an English couple. The Husband gave his wife a couple of black eyes one night. The Police showed up and his attitude was as if nothing wrong happened. He called out to his wife and asked if she wanted to speak to the Police. Thankfully the Police had body video recorders running. I have a friend who was isolated to a different country by a very Disordered Individual. Once isolated, the abuse became physical. One time she was beaten so badly that she ended up being hospitalized for months. It was not her inability to speak up for herself that is to blame. If you start to speak up for yourself to a very disordered individual, you could very well be beaten Black and Blue. IMHO the Abuser is at fault and they are totally responsible for their behavior. View the video in the link shown above. Getting two black eyes was not the Victim’s fault. I believe that when one learns about the Red Flags and if one starts to see multiple Red Flags on a consistent basis then one is able to get a better idea of who one is interacting with. It has nothing to do with putting labels on people before they do anything wrong. If one does not take heed of those Red Flags and falls prey to an Abuser, then it’s too late. Yes, people are out there who abuse other people. Yes, there are people with Codependent Traits and lots of Empathy, who seem to be attracted to those who abuse. Those who will abuse others also seem to be rather attracted to those who have lots of Empathy and Codependent traits. People call someone an Abuser after they have abused someone. It is not a matter of innocent until proven guilty. They get called that label because they have abused their victim. All abuse is bad, but some abuse is horrific. I’m posting this for everyone to think about it. The videos below give more details about Dr. Bruce Alexander and his Rat Park experiment. BTW that Rat Park experiment has been repeated many times, with the same results. So it has been scientifically proven. Trauma Bonding. When you can not let go of the Narcissist. Video is courtesy of the Inner Integration YouTube channel. Trauma Bonding (also known as Stockholm Syndrome) can keep you in an abusive relationship with a Narcissist. Meredith Miller also touches on something very important, that being the core wound which was created during your childhood. I find the Leyla Loric’s Narcissistic Abuse Victim Syndrome YouTube channel to have a unique way of explaining that which is complex in their videos. In the video below she outlines, in an easy to understand manner, how Trauma Bonding happens. The repeating of the connection and disconnection. The Push followed by the Pull. Richard Bandler‘s NLP (Neuro Linguistic Programming) sheds some light on this. 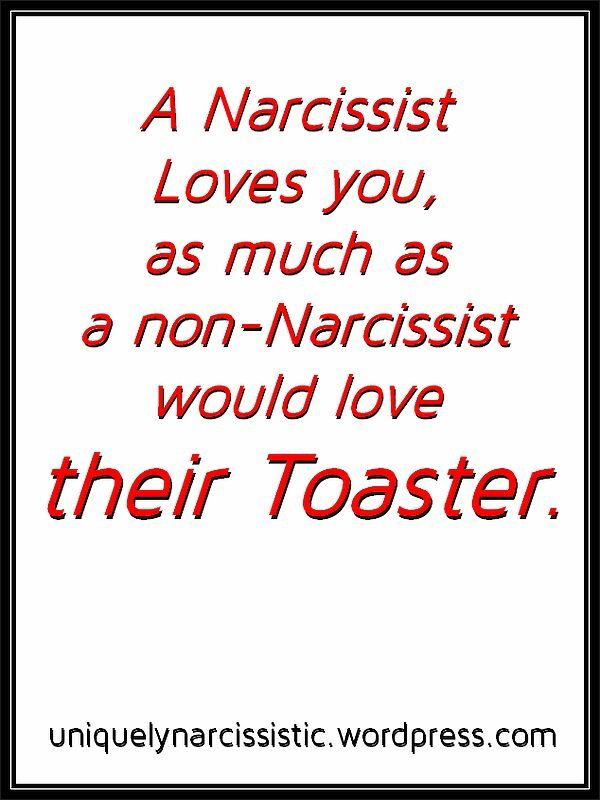 Love Bombing and Trauma Bonding both create major bonds between the Narcissist Abuser and his/her Victim. I’ll try to post something about that at a later date. Briefly, I believe (your mileage may differ) Love Bombing and Trauma Bonding covertly put the Victim into a Deep Trance State. It is a sign of Major Mind Control, when a women gets kicked down a flight of stairs, yet will not leave such an abusive relationship. Why? Because the women will tell you that they are still “in Love” with the abuser. Actually they mention the person they met at the start of the Love Bombing phase. The Fake Persona they were fed. In my opinion, (your mileage may differ) victims of major physical abuse are not in Love with their Abuser. They have been repeatedly Anchored to go into a Deep Hypnotic Trance State, where they have been programmed to experience a huge rapport with the Abuser. The black eyes and broken bones hurt far less than having to exit that Deep Hypnotic Trance State. Not unlike a heavy drug addiction to say Heroin. It is only when Victims leave such abusive relationships and those anchors and triggers are no longer fired off, that they can see the reality about their Abuser. This post is courtesy of psychopathyawareness.wordpress.com. Please visit their extremely informative site by clicking on this line. Your lover punches you in head. Your Lover pushes you down a flight of stairs. Your Lover threatens to kill your dog. Your Lover puts a gun loaded with Hollow Point Bullets to your head and threatens to pull the trigger. How hard can it be to leave such a violent relationship? Extraordinarily DIFFICULT. Just ask Leslie Morgan Steiner. She would not leave because she “Loved him”. In my opinion she loved the false persona which she met at the very beginning of her relationship. That Brain Washed and Psychologically Manipulated her. The beginning of a relationship with a Disordered individuals is commonly called the Love Bombing phase. It worked on Leslie. The following are her words about the man who did all those horrible things to her: “No one in my life had ever made me feel so safe, loved, beautiful and validated as he did during the early months of our relationship.“. Leslie was disconnected from reality. She dismissed the abuse and remained focused on the Prince Charming act she was given during the Love Bombing phase.That is the result of Trauma Bonding. Click on this link to visit The Washington Post and read the article written by Leslie Morgan Steiner describing why she stayed in a horribly abusive relationship. Written by Admin Posted in Abuse Survivors, Domestic Abuse, Domestic Abuse Survivor, Domestic Violence, Domestic Violence Victim, He held a gun to my head. I loved him., Leslie Morgan Steiner, Loving an Abuser, Narcissistic Abuse, Narcissistic Abuse Survivors, Physical Abuse, Should I Stay or Should I Go?, Staying in an Abusive Relationship, Stockholm Syndrome, The Washington Post, Trauma Bonding, Uncategorized, Why Abuse Victims stayed, Why Do People Stay in Abusive Relationships?, Why domestic violence victims don't leave, You made it thru the Abuse, but still feel the Pain. Tagged with He held a gun to my head. I loved him., Narcissist, Staying in an Abusive Relationship, Stockholm Syndrome, Trauma Bonding, Uniquely Narcissistic, Why Do People Stay in Abusive Relationships? *If you enjoy this post, please consider supporting Self-Care Haven by purchasing the e-book version of this article, which is an extended and more in-depth look into these biochemical bonds. All proceeds will go towards services for survivors. If you were inspired by this article and would like to write about about this perspective, please be sure to link back to the article. Thank you! Trauma Bonding or Stockholm Syndrome can occur when the abused individual is made to go thru alternating Reward / Punishment cycles. A simple act of kindness during an abusive situation, can mess up the victim’s brain chemistry. The kindness event is short lived, as the abuser goes back into Narcissistic Abuse mode. Unfortunately for the victim of the abuse, a Trauma Bond may have started to form. Very well presented video about Trauma Bonding, which at first establishes what Stockholm Syndrome and Trauma Bonding is. Then details the Reward Punishment cycle, which is used to “hook you”. Click on this line to view our prior posts about Trauma Bonding and Stockholm Syndrome. How Do I Stop Thinking about the Narcissist? “Trauma Bonding” with a Narcissist, could be harder to break than a Heroin Addiction. Recovering from a Heroin Addiction is said to be easier to do, than to recover from Abusive Relationship with a Narcissist, if Trauma Bonding has occurred. Sacha Slone discusses Trauma Bonding, which is something that could happen to Victims of Narcissistic Abuse. Sacha Slone discusses brain chemicals which could help keep the Victim of Narcissistic Abuse conditioned to remain in the relationship, not unlike a Drug Addiction. 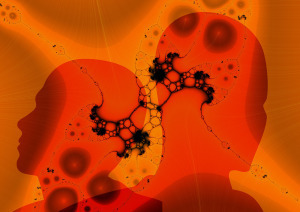 The biochemicals in the brain may also help create Trauma Bonding or Stockholm Syndrome. The helplessness is learned, over time, using the Biochemistry created by using Reward and Punishment. Victims are trained to become dependent on the Narcissist. People outside of the abusive relationship can never understand why the Victim cannot leave such a relationship. 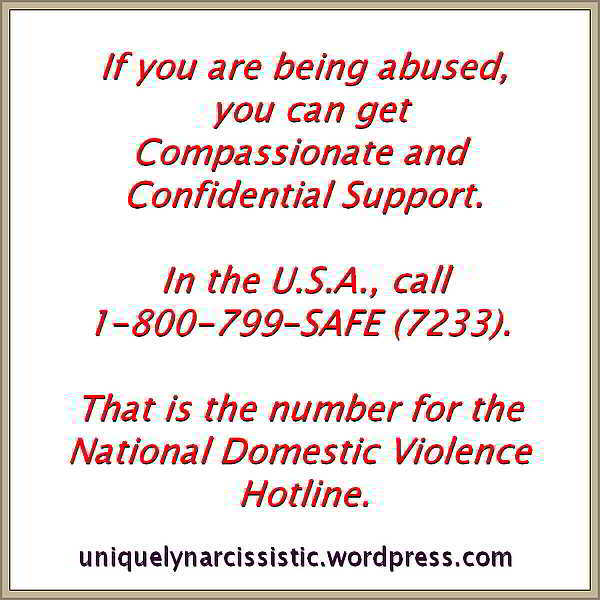 Victims of Narcissistic Abuse remain in abusive relationships. Victims of Narcissists, will often defend the Narcissist. Trauma Bonding happens. It is also referred to as the Stockholm Syndrome. This informative video goes into more detail about Trauma Bonding and the Stockholm Syndrome.